On a previous post I introduced RavenDB on this blog. On this one let's review how to install or run a standalone RavenDB instance on our machine. 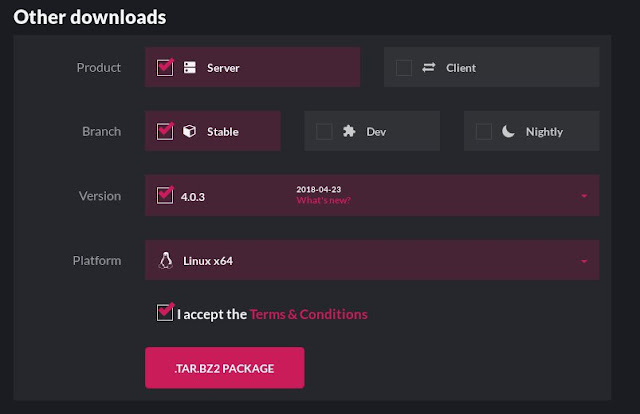 First off, navigate to the RavenDB downloads page and download the server version for the environment you're working on. The currently supported platforms are: Windows, Linux, OSX, Raspberry PI and Docker. To download your image, select Server, Stable and the appropriate version for your environment. Aaccept the terms, click on the .ZIP Package download button to download the image to your disk. On Windows, once the download is completed, extract all those files in a folder and you'll see two PowerShell files: run.ps1 and setup-as-service.ps1. A new window will open for you where you'll need to configure a cluster and/or security. 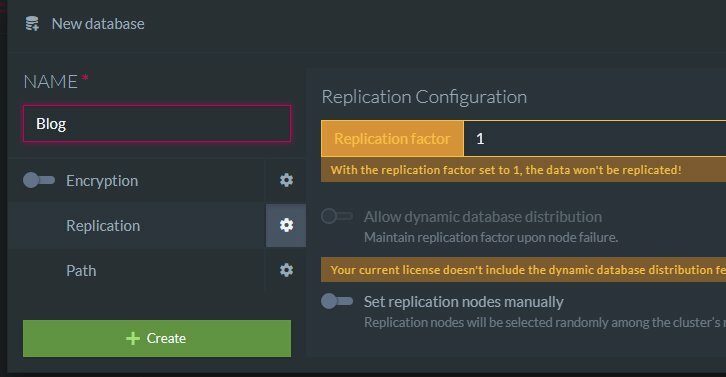 For now, let's skip the cluster configuration and go with the Unsecure option. This configuration is enough for this demo and simple development efforts. Clicking on it, RavenDB Studio will open on the default Url: http://127.0.0.1:8080/studio/index.html. That's it! 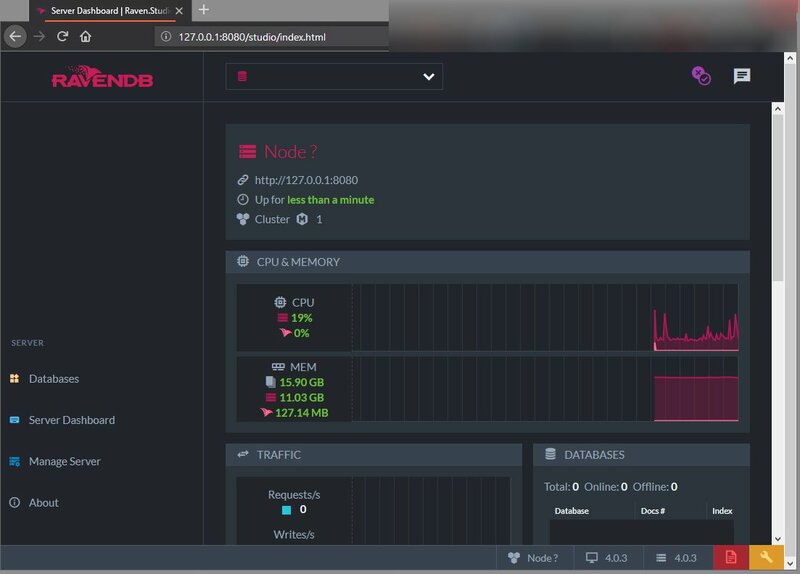 The standalone instance is running and you can start testing RavenDB on your Windows box. To install you your machine, open the PowerShell terminal as an administrator and run the setup-as-service.ps1 script. If all goes well, you'll have to accept the user license agreement and proceed with the instance configuration. After installed, you'll have to configure your instance as shows the image below. For a development setup, you should be good with the Unsecure option. Clicking on it, will prompt you for Http/Tcp ports and IP address. Leaving empty will use the defaults. Click "Restart Server" and RavenDB should be installed. 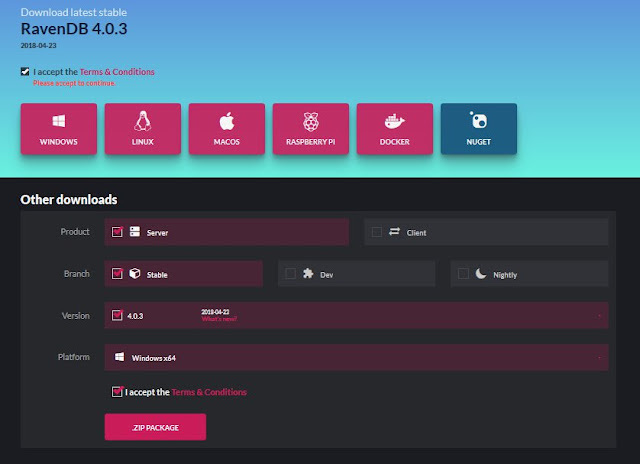 The Linux installation is similar: download your Linux image from the RavenDB downloads page, unzip it and run the script. Let's see how it works. Installing RavenDB on Linux is very similar to Windows. 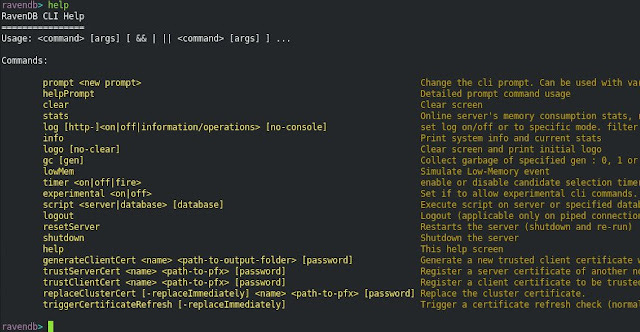 You run the run.sh shell script and select the installation option on the command line. 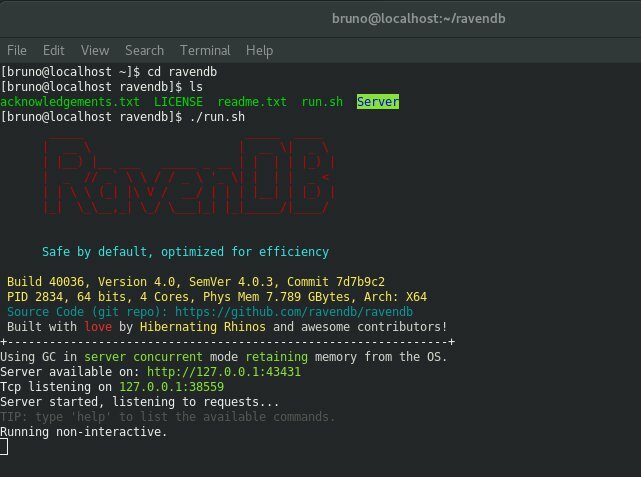 After installed, basic manipulation of the server can be done either by using the Raven UI (Raven Studio) or by using the console previously opened. From the console, You can do things like restarting/shutting down the server, like exporting/importing data, reading logs and viewing server stats. Just type the commands shown. For example, to shut the instance down, I should type: shutdown. Now that RavenDB is running and the database is created, next step is to start interacting with it. You can use either RavenDB Studio or the client Api (C#, Java, Python, etc). For more details, check my simple introduction to RavenDB. Hope this post shows how is a simple introduction on how to install RavenDB on Windows and Linux boxes. For more information, check the official documentation.